Self-contained ductless enclosures allow safe handling of organic, formaldehyde, acid gas, sulfur compounds, or ammonia chemical fumes and vapors. Stands have a depth of 87 cm (34¼"). The built-in hydraulic lift is operated by remote control and provides work surface heights from 43.8–93.3 cm (17¼–36¾") and overall enclosure height as low as 193.5 cm (76¼"). The supported enclosure can be positioned for persons of different statures, wheelchair-bound users, transport through doorways, and easier access to upper components. 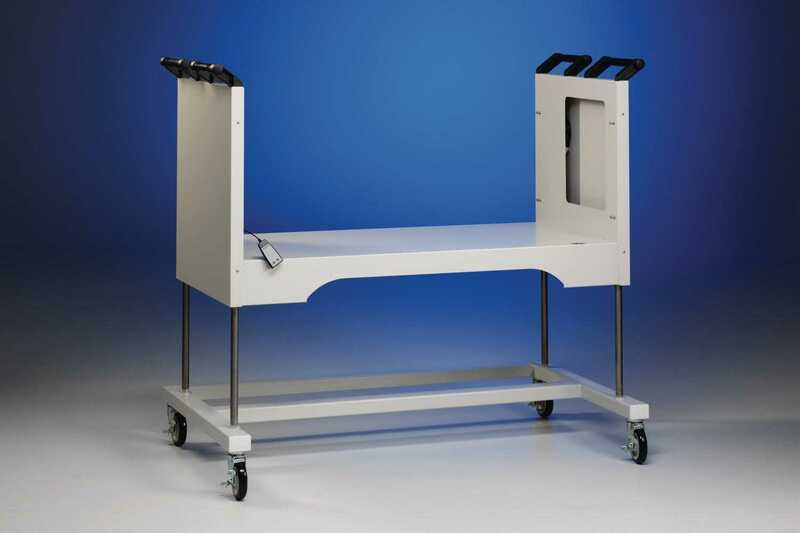 Stands include 12.7 cm (5") diameter, toe-locking polyurethane casters with bearings for quiet operation. 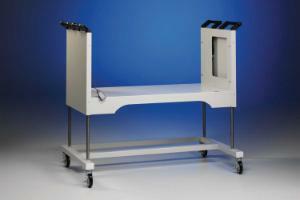 Black, chemical-resistant epoxy work surfaces are dished to contain spills and contoured to fit enclosures. Stainless steel work surfaces feature a 2.5 cm (1") deep-front spill trough. Air inside the enclosures passes through carbon filters, and in some cases additional HEPA particulate filters, before being exhausted back into the laboratory. No outside ducting is required. Tempered safety glass front sash and sides, epoxy-coated aluminum frame, steel rear baffle, and plenum provide excellent visibility, ambient light, and chemical resistance. Paramount 360 enclosures feature 360° visibility. Ergonomic angled sash allows a closer view of work area, reduces glare, and provides a more comfortable position for sitting or standing operation. Advanced motor technology uses less energy and runs quieter than comparable models. Containment-enhancing components ensure that no vapors enter the breathing zone for a safe work environment. An organic vapor sensor detects chemicals breaking through the filters, ensuring operator protection. Digital display shows airflow and filter status, and touchpad controls enclosure operation. 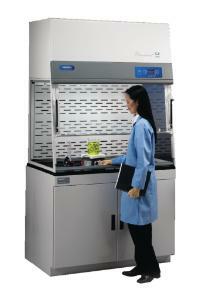 Certifications: Enclosures meet SEFA 1-2005, ASHRAE 110-95, and ANSI z9.5-2003 standards. CAN/CSA C22.2 No. 1010.1 compliant. UL 3101-1/61010-1 compliant. 115V models are also ETL and ETL-C listed. 230V models are also CE marked. Ordering information: All models require a base stand, work surface, and filters in order to operate (all sold separately). Filters must be selected according to individual application requirements and can be stacked two deep. Only two types of filters can be used together or both can be of the same type.